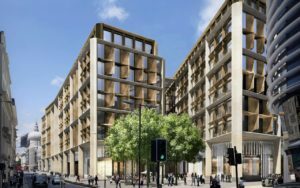 US financial data and media giant Bloomberg has unveiled its new environmentally friendly European headquarters in London, which it claims is “the world’s most sustainable office building” having received an ‘outstanding’ rating under BREEAM criteria. 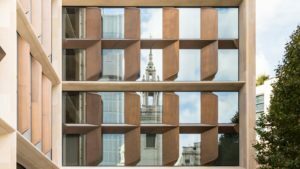 Located between the Bank of England and St Paul’s Cathedral in central London, the development officially opened yesterday and includes 1.1 million square feet of office space, three new public plazas, a dining arcade with new bars and restaurants, and a new entrance to Bank tube station. Designed with low carbon, energy, water and resource intensity in mind, the building received a 98.5 per cent mark under BREEAM sustainability criteria, which the company said was the highest design-stage score ever achieved by any major office development. Designed by renowned architect Norman Foster’s firm, the development offers a 73 per cent water saving as well as a 35 per cent savings in energy consumption and associated CO2 emissions compared to a ‘typical’ office building and reportedly uses many ‘first of a kind’ waste green solutions. Integrated ceiling panels throughout the building incorporate 500,000 LED energy efficient lights, while bronze blades on the outside of the building open and close for natural ventilation, reducing dependency on air conditioning. And on the roof, rainwater is captured, treated and recycled to serve vacuum flush toilets, with the building’s water conservation systems overall saving around 25 million litres each year – enough to fill ten Olympic swimming pools. A smart airflow system also operates throughout the premises that can sense CO2 and allows air to be distributed according to the approximate number of people occupying each zone of the building at any given time. The system is designed to save around 600-750MWhr of power per year, while reducing CO2 emissions by 500-750 metric tonnes, according to the firm. A portion of the heat and power for the building is supplied via an on-site combined heat and power (CHP) facility, with waste heat produced from the process recycled for cooling and heating. The system is expected to save around 500-750 metric tonnes of CO2 each year. Alan Yates, technical director of BRE Global’s sustainability group, said projects such as Bloomberg’s new London HQ were important in “giving confidence to the industry to experiment”. “What sets the Bloomberg building apart is its relentless focus on innovation and its holistic, integrated approach to sustainable construction and design,” he said. 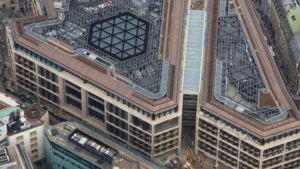 With the new London building, Bloomberg said it now has 34 LEED or BREEAM-certified projects globally, and that by the end of 2017 almost 70 per cent of its 19,000 employees worldwide would occupy and environmentally certified office. Its drive towards greener buildings has helped Bloomberg eliminate nearly 700,000 tonnes of CO2 equivalent since 2008, while also avoiding $95m in operating costs, the firm said. 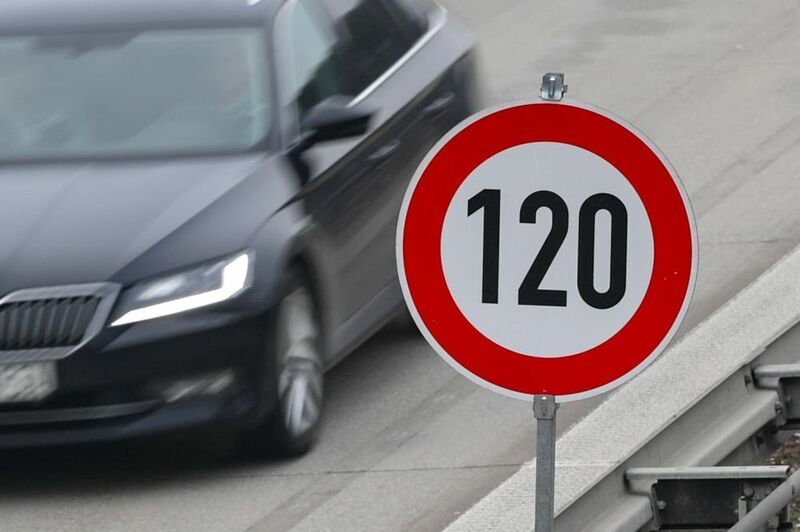 Autobahn speed limits would reduce carbon emissions and save some lives. They should be rejected anyway. 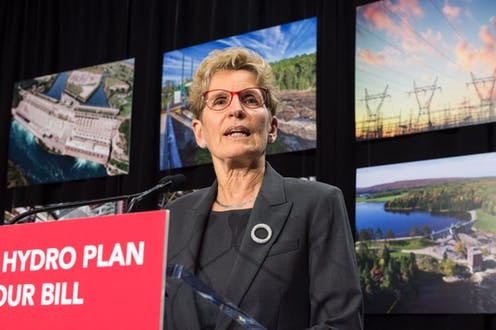 Wednesday, October 25, 2017, 3:20 PM -	Energy poverty is a surprisingly common problem in Canada, with vulnerable communities most harshly affected by cut-offs when they fall behind on bill payments. But, it says, efforts to end HIV infections must include communities and partnerships.